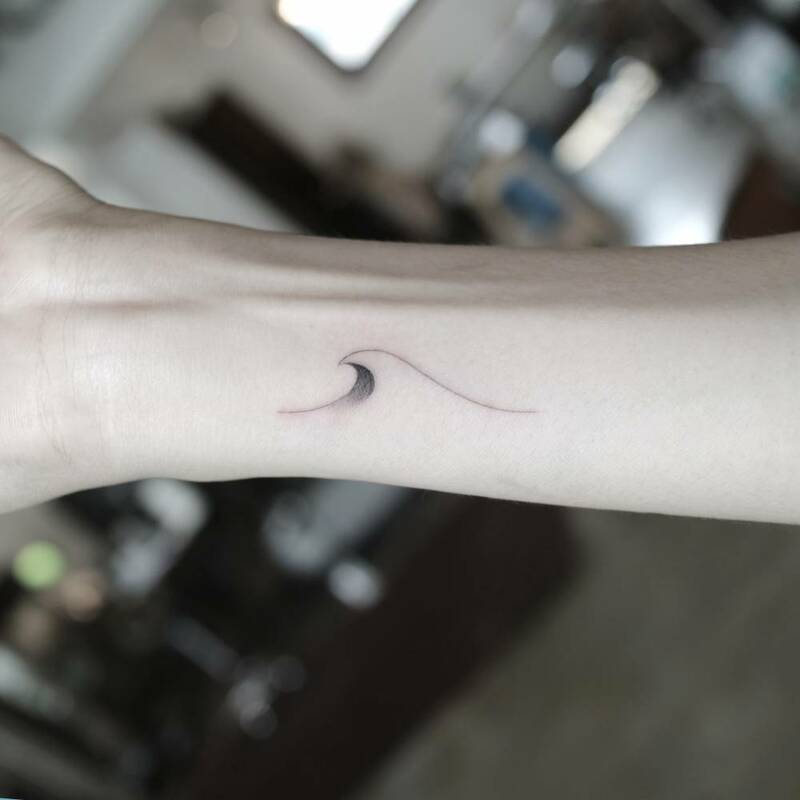 Getting simple single line designs and reoccurring minimalistic wave patterns has become quite popular across the world in present times, specially in warm, coastal locations. 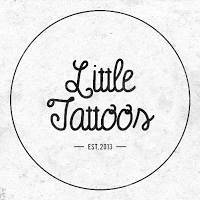 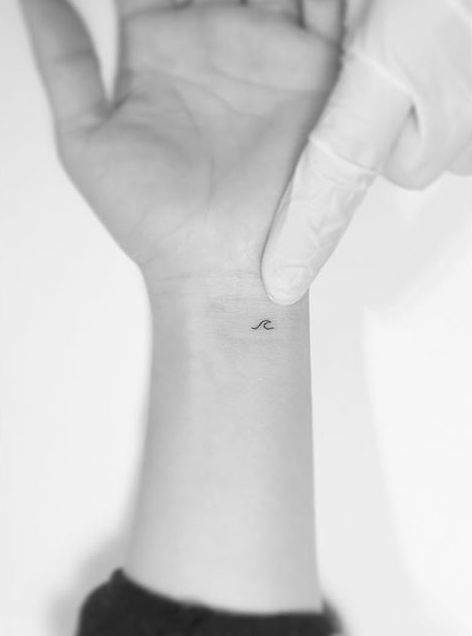 These tiny wonders come in different shapes and sizes and they can be made on almost any part of the body. 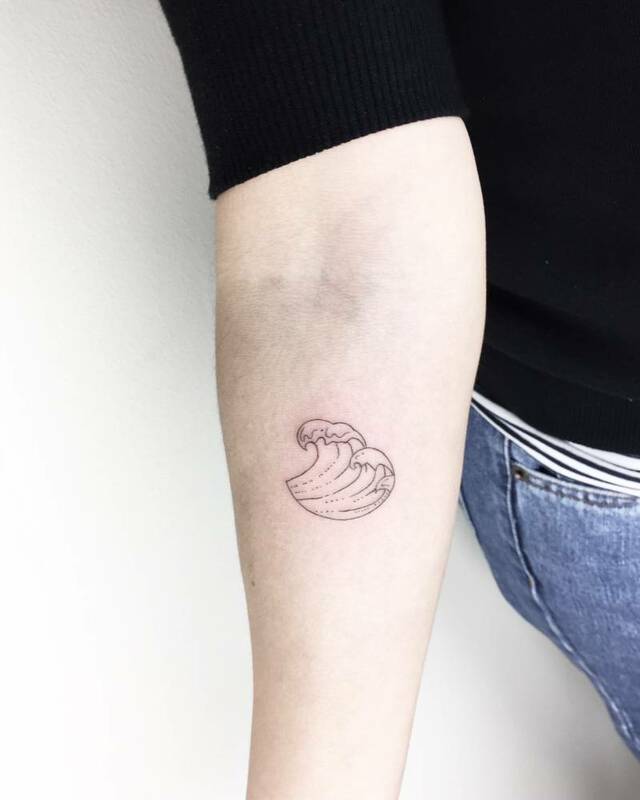 Wave design inkings have become a rage among men and women these days. 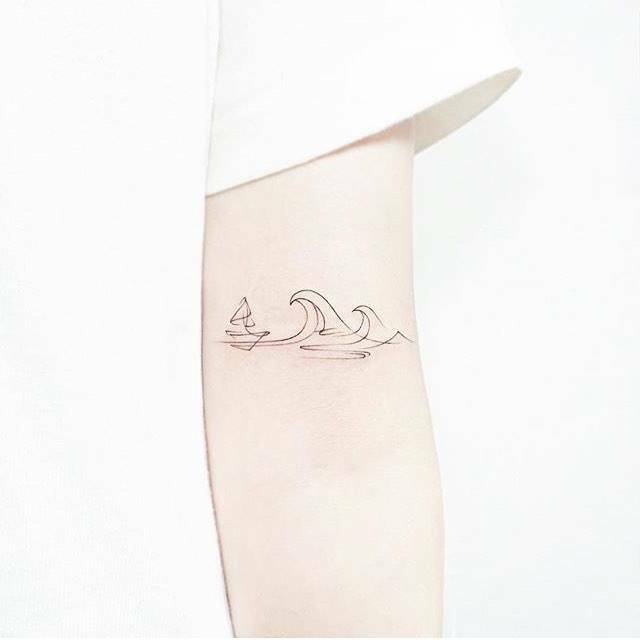 As the name implies, these tattoos depict waves of water in different shapes and sizes. 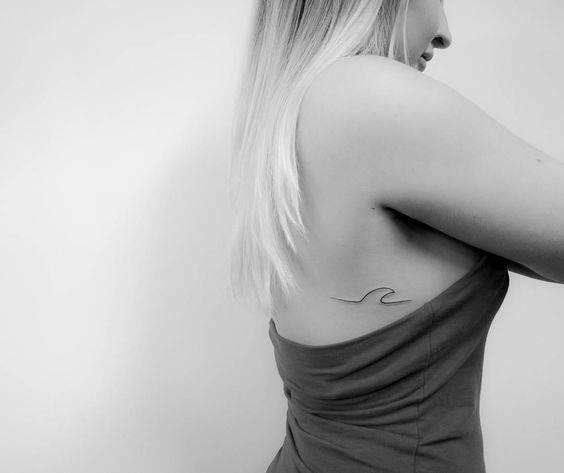 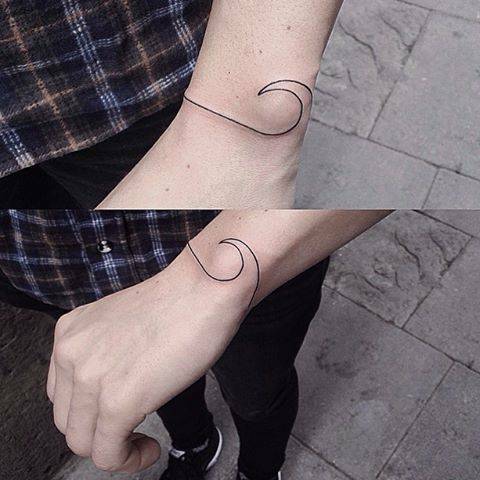 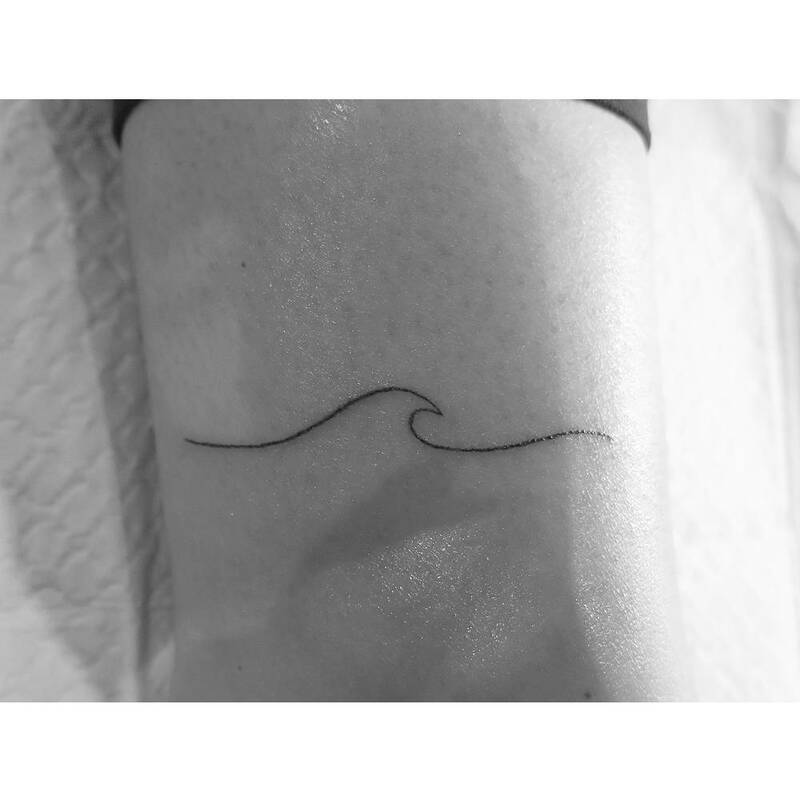 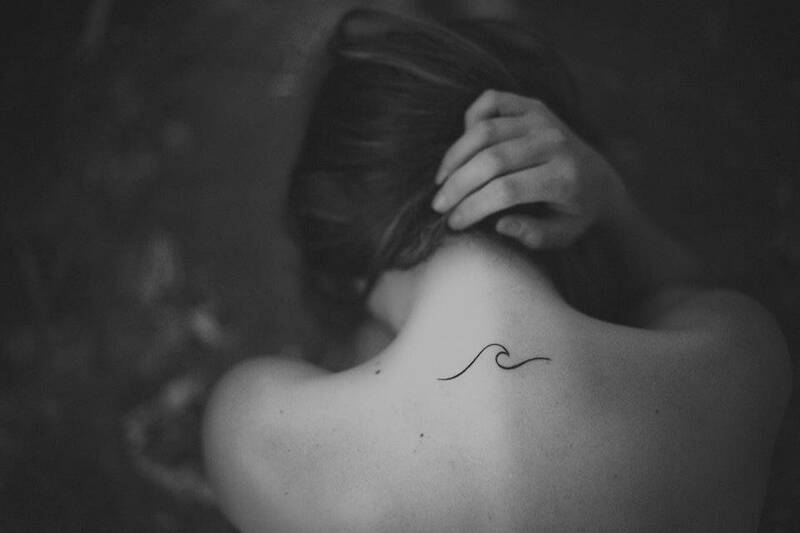 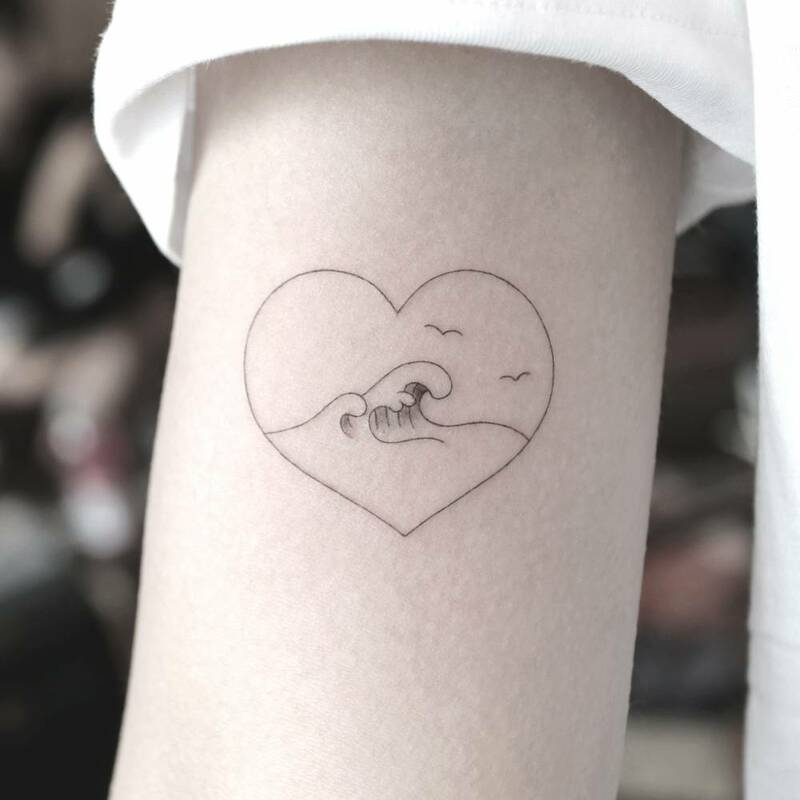 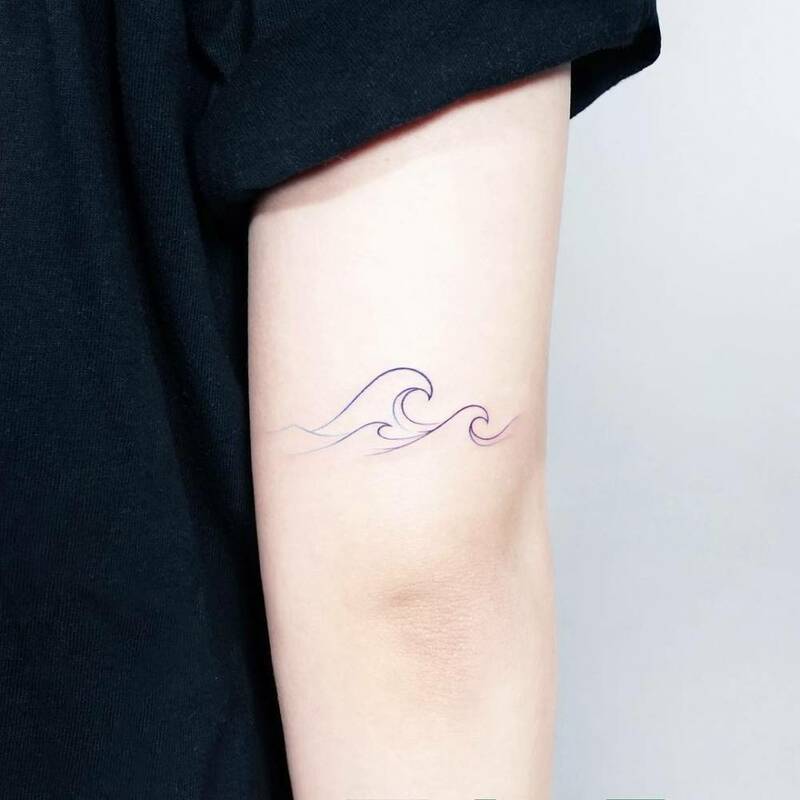 Tattoos of waves are chosen by people to express their personality as well as liking of water bodies. 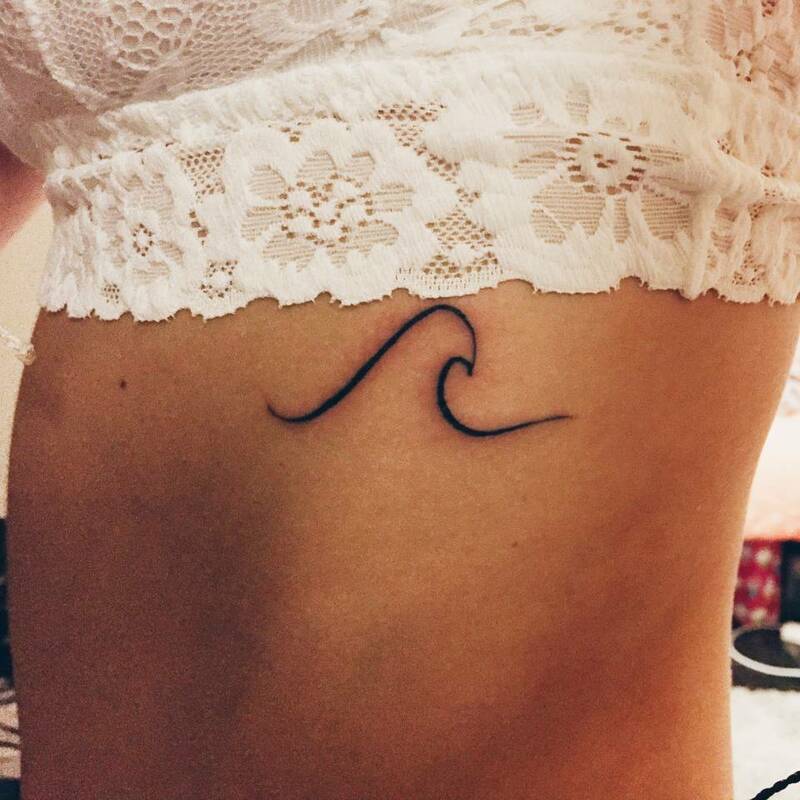 Formed by gravity and surface tension, water waves can be dangerous, beautiful and even therapeutic. 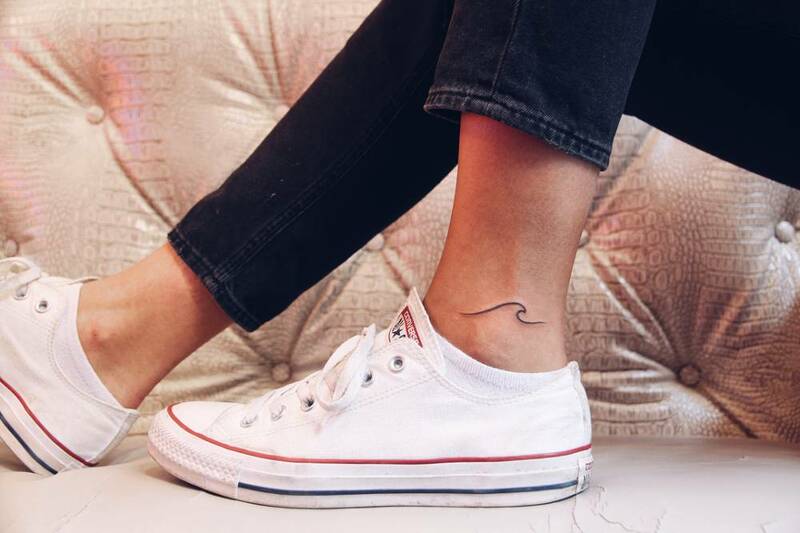 Whether you’re running out to sea, surfboard in tow, or just enjoying a romantic walk on the beach while the waves peacefully break in the background, waves are without a doubt one of nature’s most alluring creations. 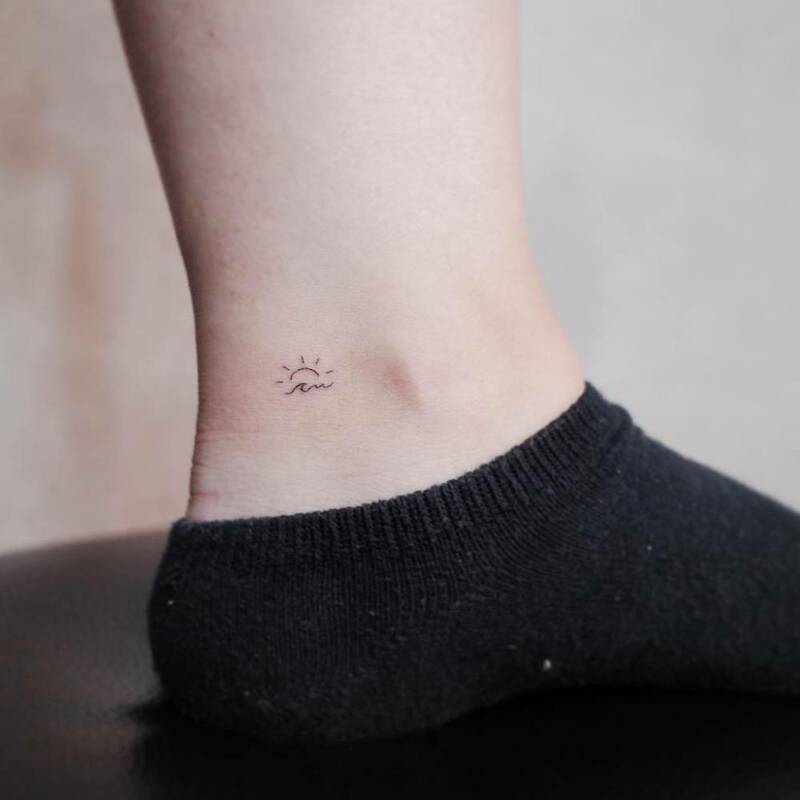 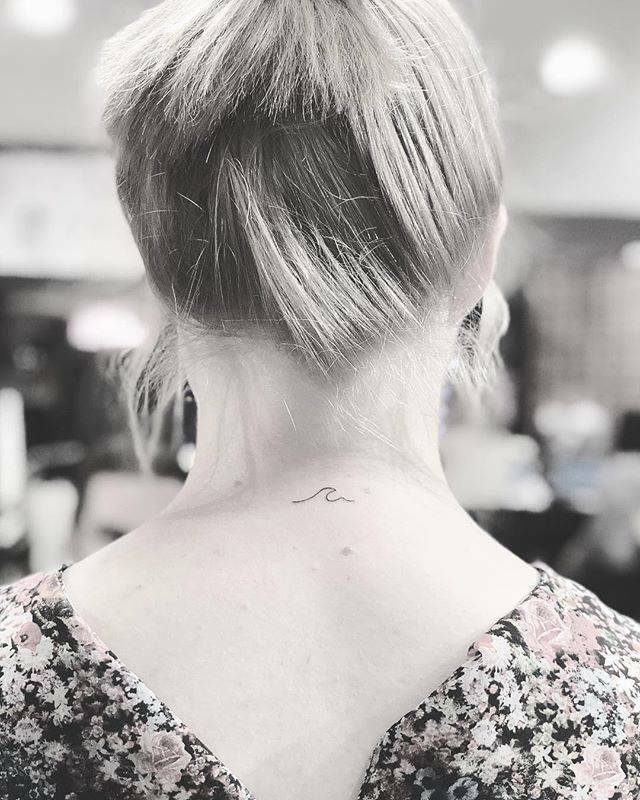 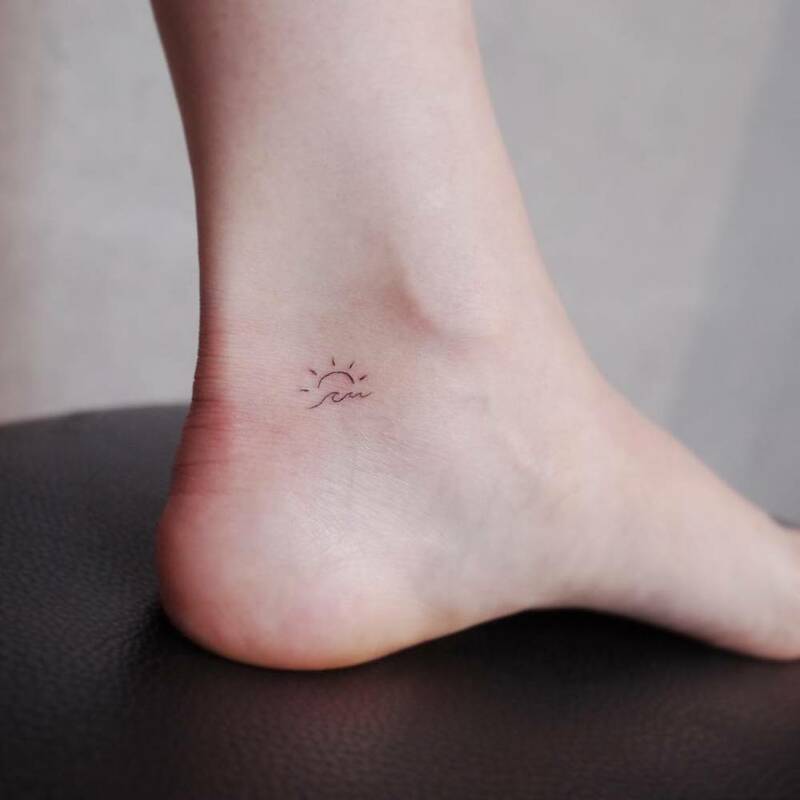 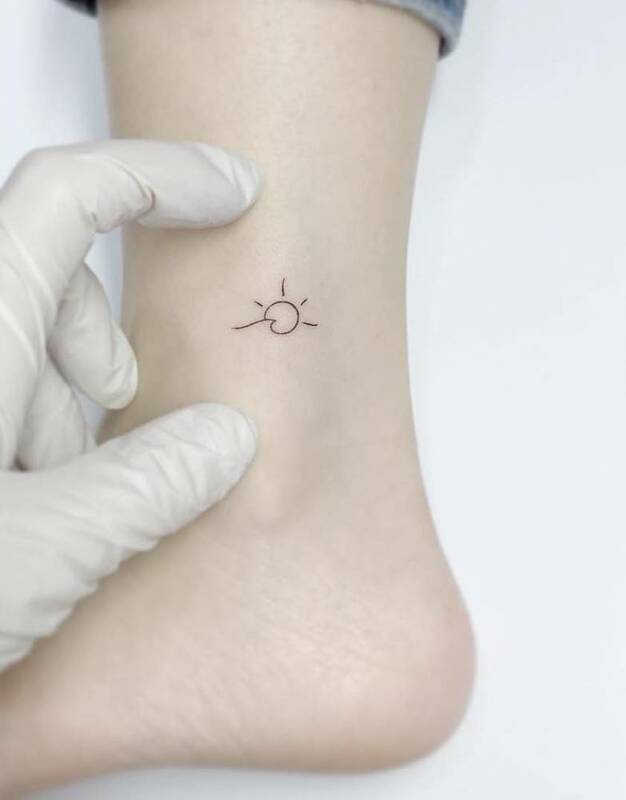 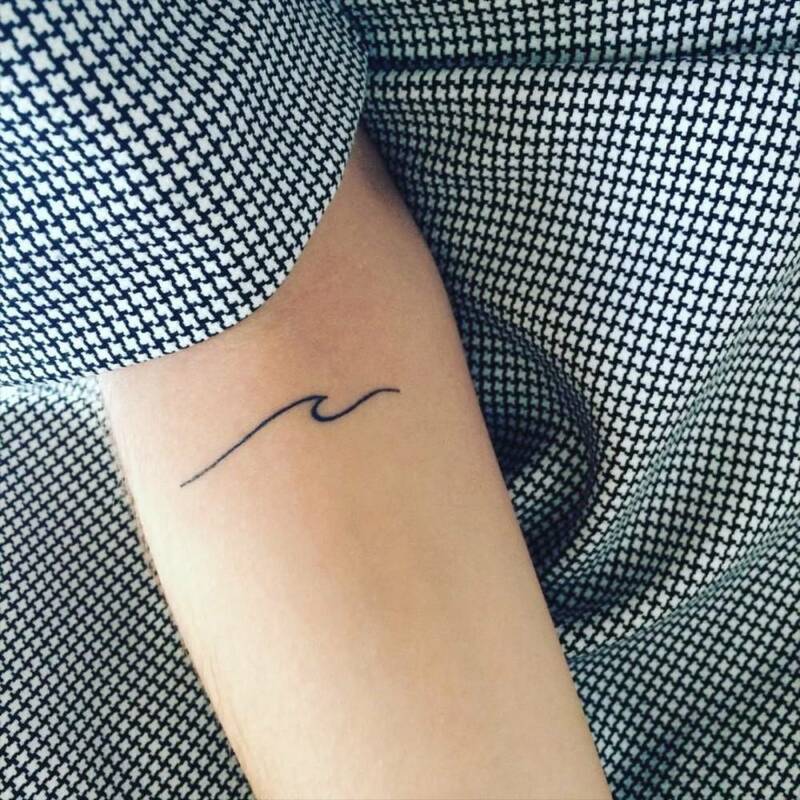 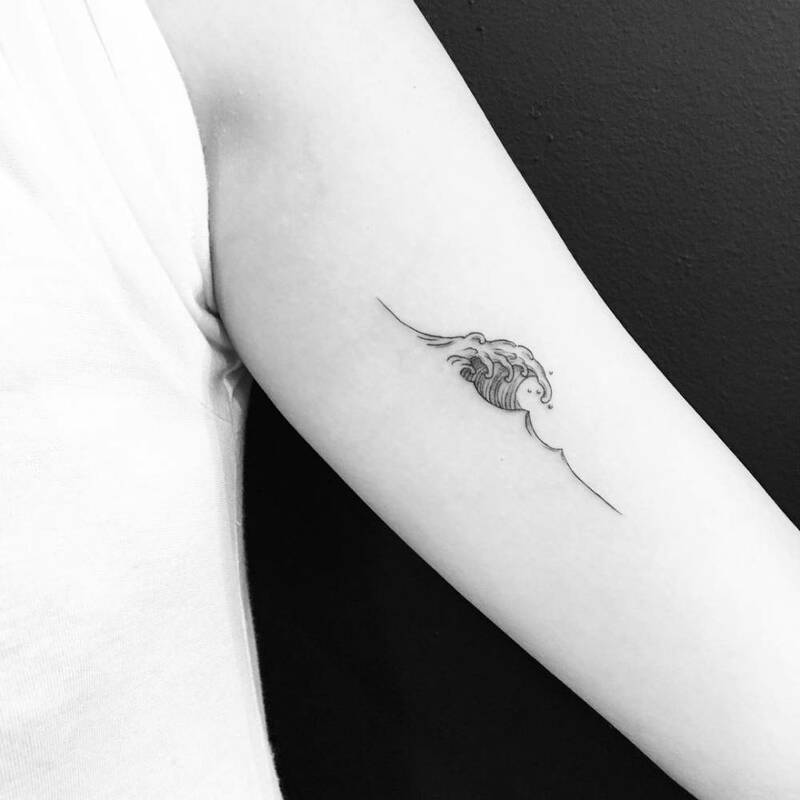 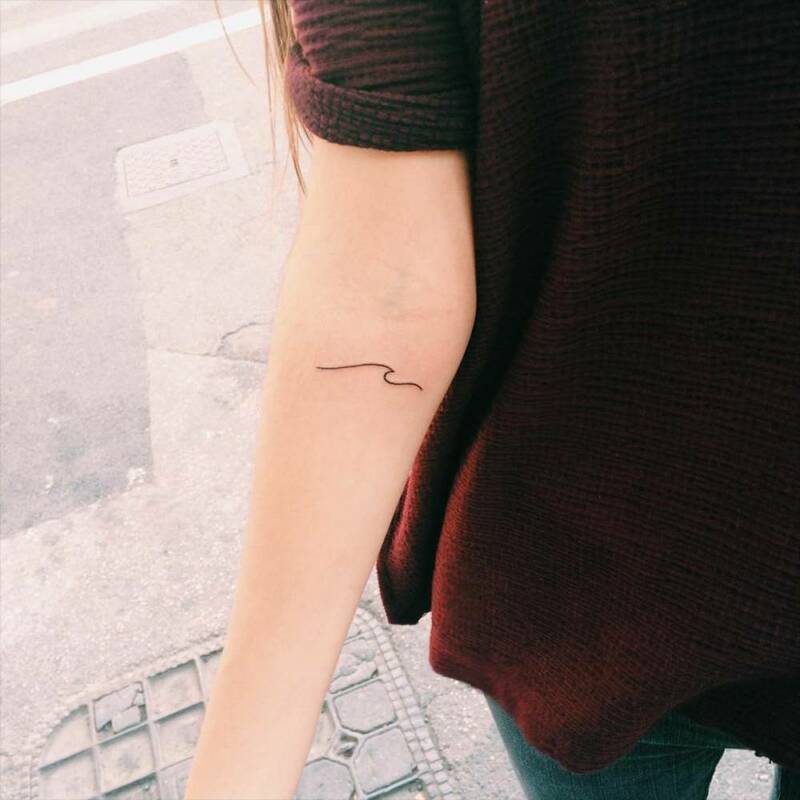 Let’s take a look at some minimal wave tattoos that go well with anything. 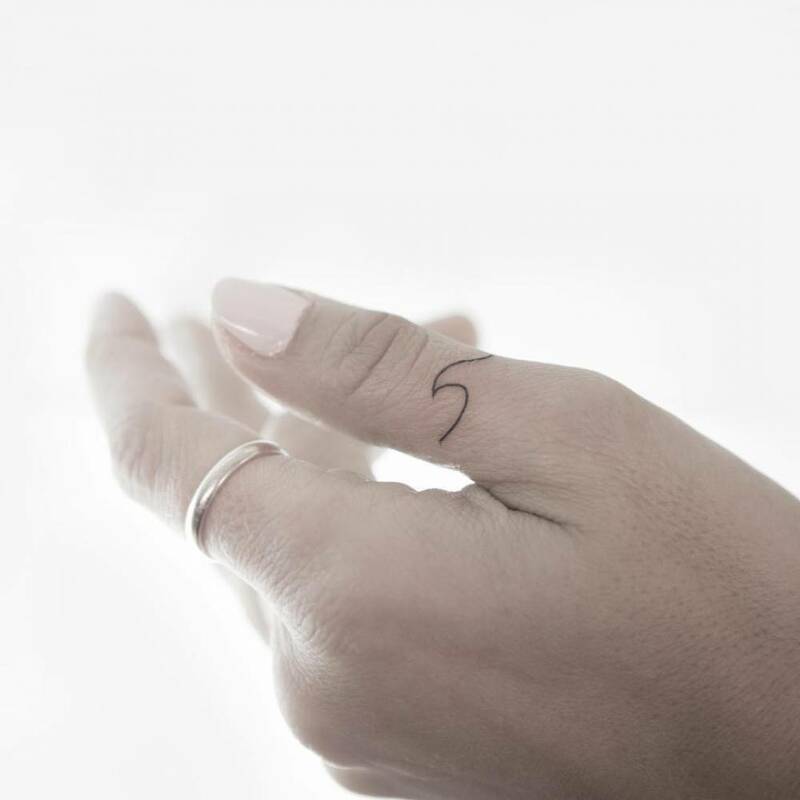 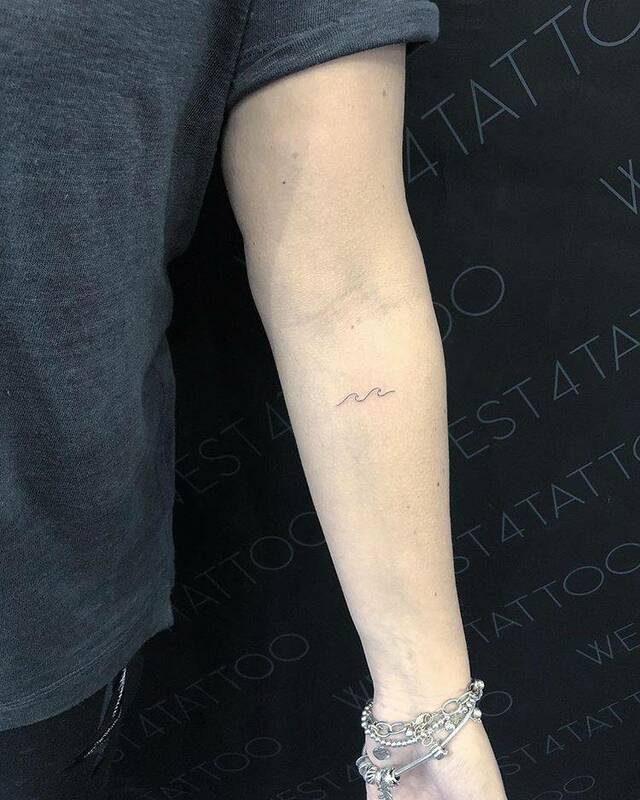 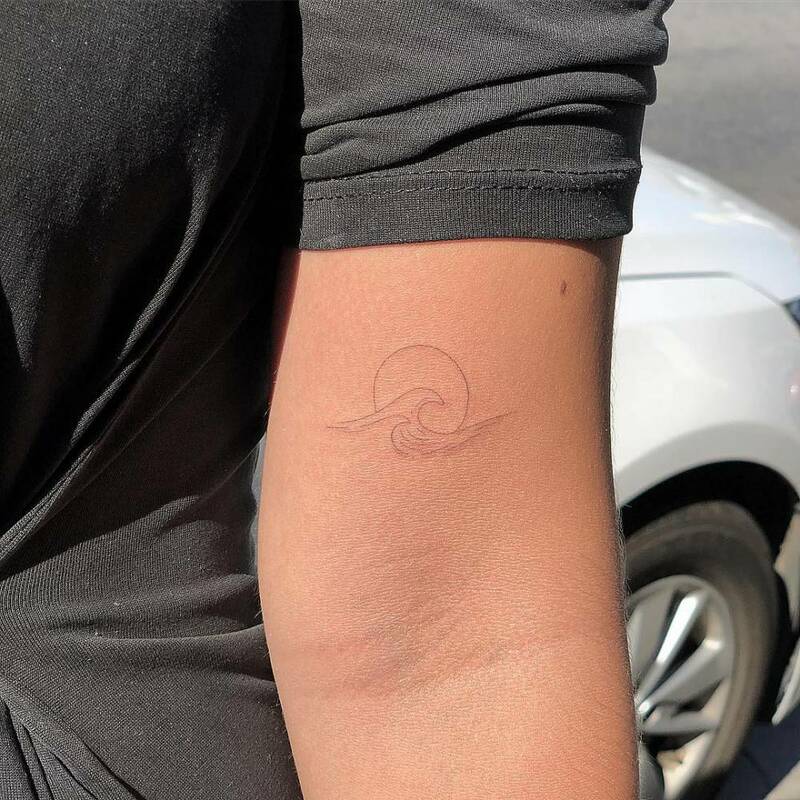 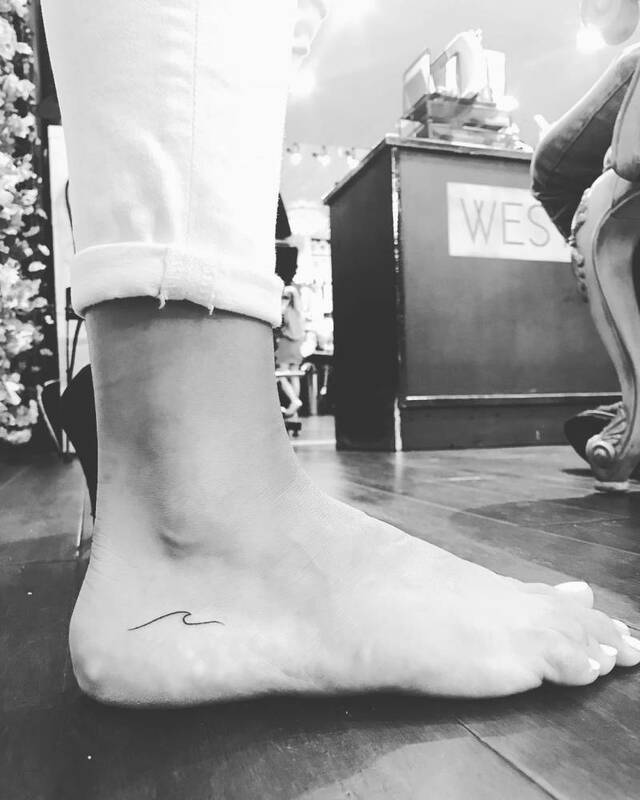 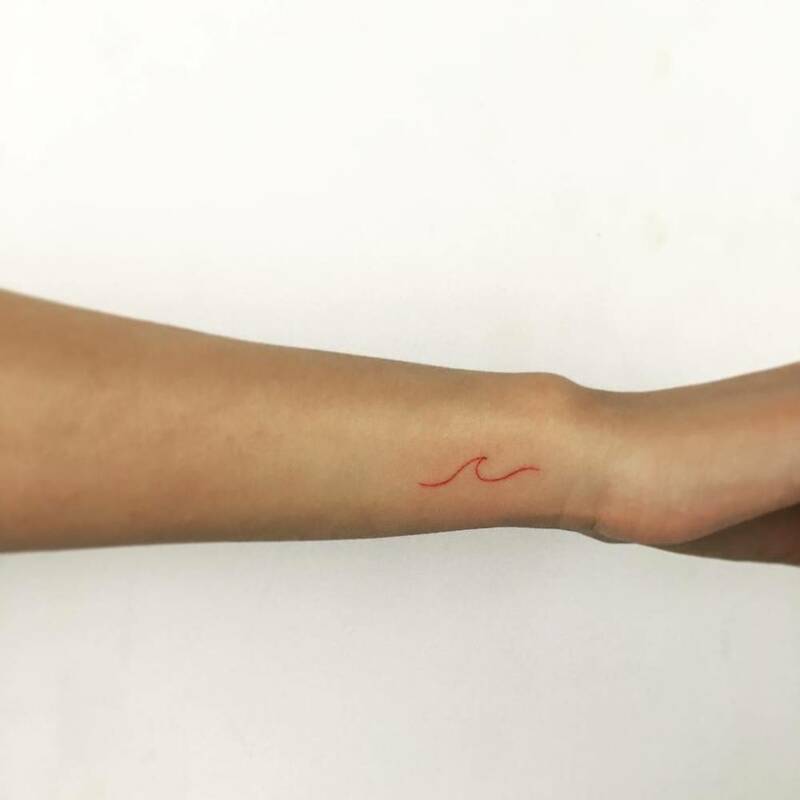 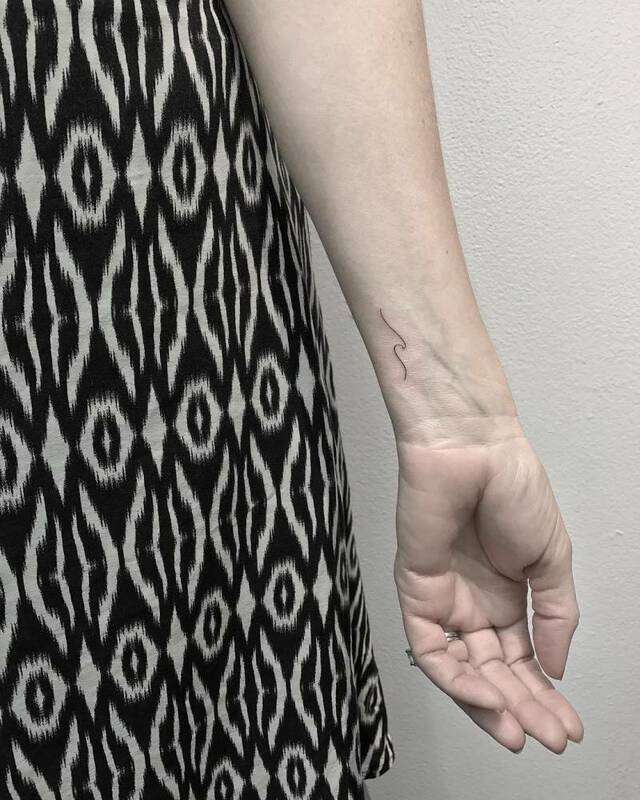 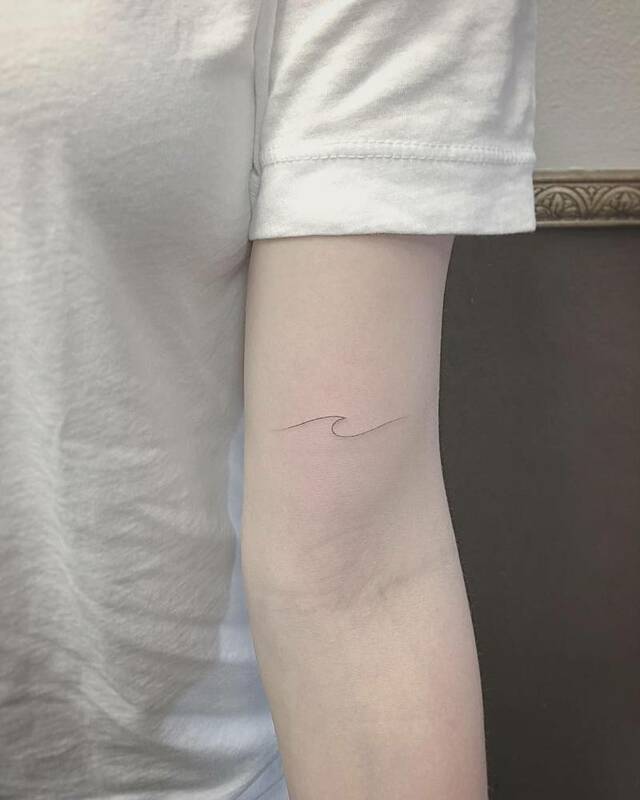 Even celebrities love minimalist wave tattoos. 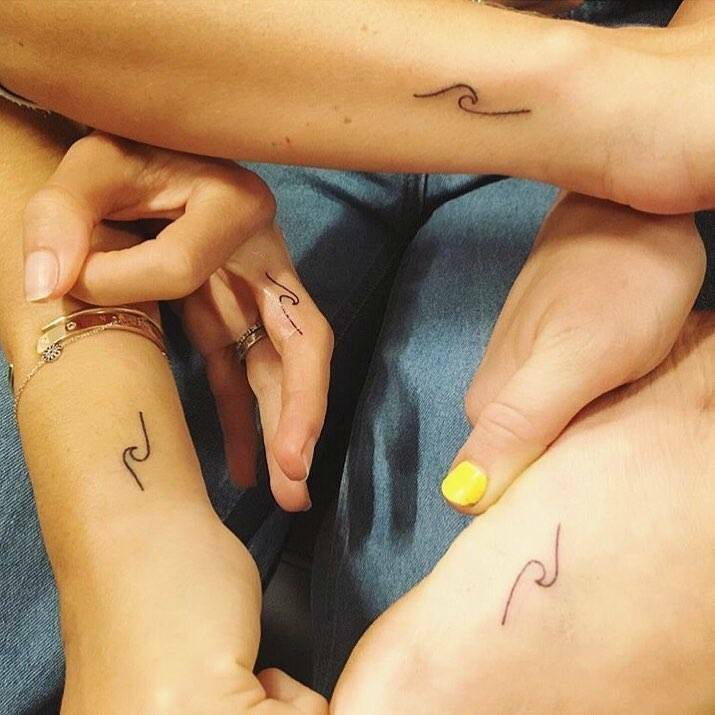 Check below the matching waves Kelly Slater drew up for Miley Cyrus, Kalani Miller, Elsa Pataky and April Munro.